Very simple... Our friendly, customer focused cleaning professionals provide the highest quality home cleaning and maid services in San Diego and North County. 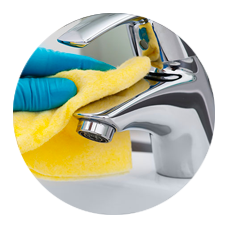 Call us for a free quote or just book your general cleaning package now using our Online Booking system! We are ready to help keep your casa sparkling new. Use our easy and convenient Online Scheduling feature to choose the right package for your home or get a custom quote. 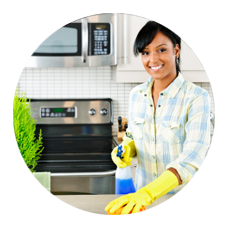 We have a variety of options available to fit your residential cleaning needs perfectly! Find out if your in our service areas. Use promotional code to save! Enter your email below to receive your first hour of cleaning FREE! With Charming Casa, you leave the cleaning to us. We pride ourselves in matching the service to your needs and are while many of our clients say that we are miracle-workers, in truth, we just consistently provide professional home cleaning services and do an excellent job at it! Our upbeat and efficient team of home-beautifiers can spruce up even the messiest of abodes! Using only earth-friendly products at no ​extra charge, we pride ourselves in ensuring you are happy with the final result. Whether your home needs a quick spruce-up, move-out cleaning, or regular weekly or monthly visits, you’ll be glad you called our team of hard-working, detailed professionals! We look forward to meeting you and transforming your home into a Charming Casa! 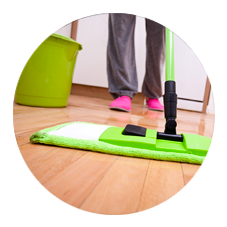 Schedule weekly, bi-monthly, monthly, or as needed cleaning services. Let us help out with your next move. We will have the spot sparkling in no time! Having an open house soon? We would love to help you shine the plae up! We can help clean up before, or after a party. Keep things charming..
Easy as 1-2-3… Follow a few simple steps to get your appointment booked online right away! We understand that you live a busy life. 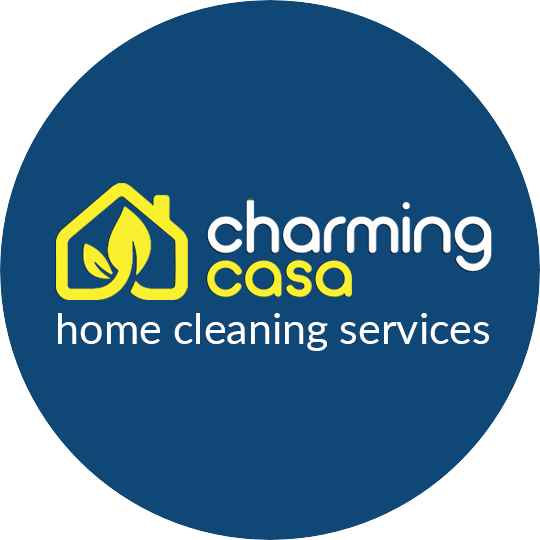 Instead of trying to do it all by yourself, enlist the help of a hard working team from Charming Casa for regular home cleaning. Keep your house or condo looking freshly charming with a cleaning service every two weeks. Our professional house cleaners and maids keep your casa looking great! Not sure how often? No problem, just book one of our general house cleaning packages or a customized cleaning service, as needed, when you’re ready! You have enough to worry about when relocating to your new casa. Contact us today for a quote and info on our most comprehensive service. Contact us for more info and get your appointment scheduled today so you can focus on planning your event! The cleaners were at my house on time. We did a walk through so I could point out what needed most attention. My refrigerator and back sliding door looks brand new and all of the dust from the popcorn ceiling removal is all gone! It was the best $$$ I have spent in a long time! I will for sure be using your services again! Thank you for addressing all of our concerns. We appreciate the care and effort put into to the work done on our home. Deb & Alla are fantastic!! I especially love how they’re transforming me, not just my house… They bring good energy into my home and leave me feeling really good, like I’ve accomplished a lot! They don’t judge and they’re very understanding and patient . Every time, the house looks even better than the last time. Thank you so much!